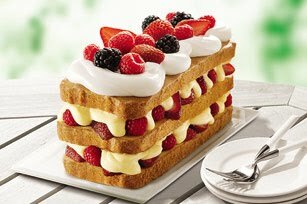 Head over to Kraft Foods for recipes! 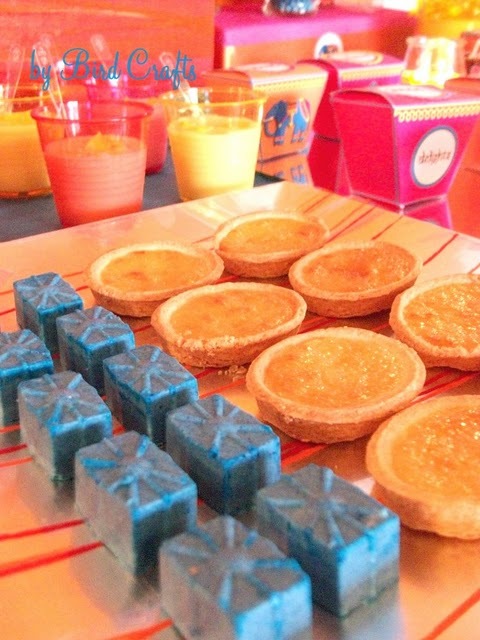 I'm always on the hunt for fun, flavorful sweets for parties and candy tables. So how about taking an all time favorite snack and making it pretty?! Popcorn would be perfect! You can find in an array of colors and flavors, homeade or gourmet! 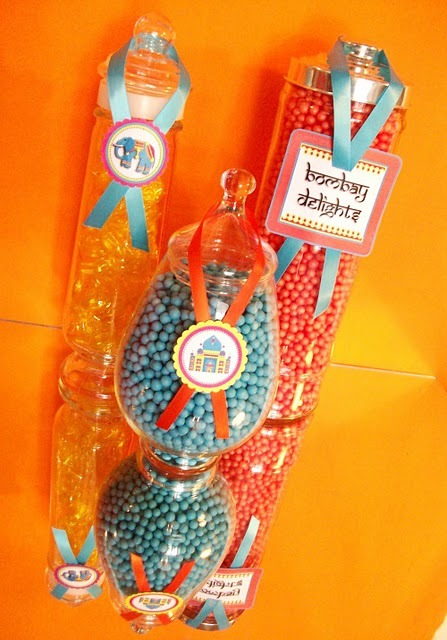 It will make a cute addition to a candy display, don't you think? 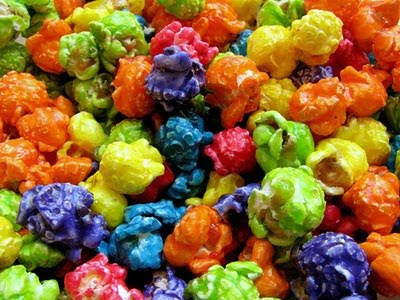 Want to DIY..here's a recipe for colored popcorn.. 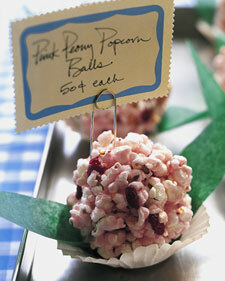 These popcorn balls look fun and flavorful. 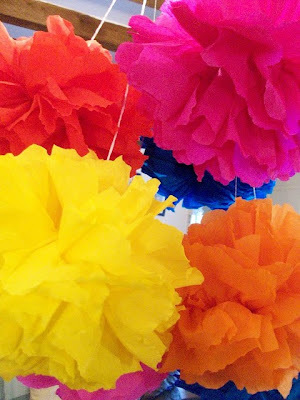 You can wrap them individually with colored cellophane to make an impact! Looking for a unique bridal shower, housewarming,hostess gift, or just new items to add some flair to your home? Check out the hand-blown art glass pieces of the Rockswirl Art Glass Collection. It's a gorgeous collaboration between Mikasa and Abby Modell. Check out this video for an inside look behind the scenes of their NY showroom. Get tips and ideas that will give your home a fresh chic new look with these affordable but luxurious pieces! 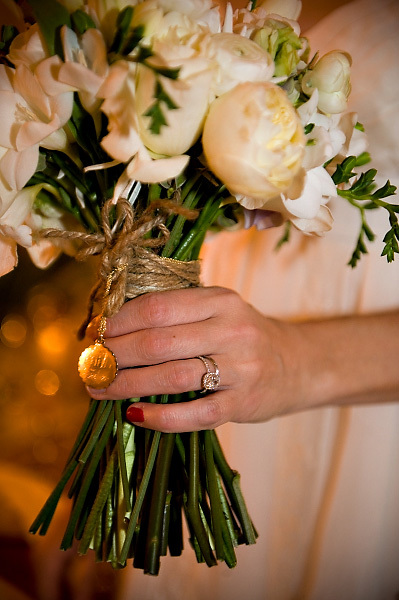 This collection truly has an opulent touch. Don't you think?! It's the first day of summer, and it's Hot! I'm feelin' it! It's time to do some outdoor entertaining! 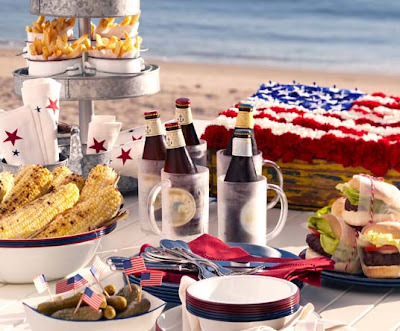 I'm ready for a Summertime Barbecue like this one! Courtesy of PotteryBarn of course. 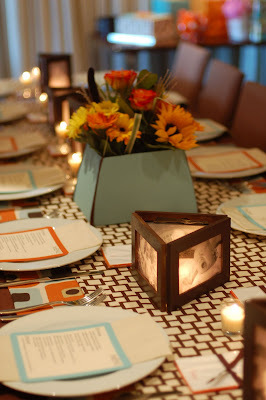 I'm in the begining phase of planning a shower for a baby boy and scouring the net for inspiration. 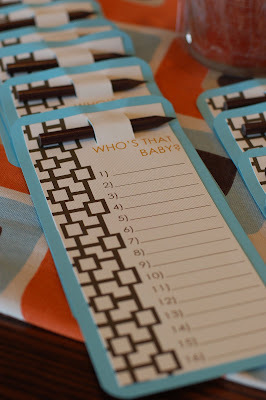 I came across the cutest baby boy shower over at waitingonafullhouse blog and had to share. I absolutely adore the modern colorway and graphic patterns she used to bring the shower together. The games and details are super cute and creative. 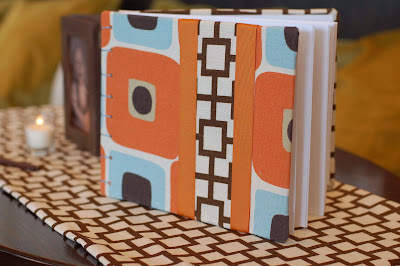 Check out more photos and details on this baby game on Jessica's blog. Candy.. YUM, Cocktails..MMMM..What's even sweeter? A combination of both! Add a candy stirrer to your cocktails for a sweet grown up treat. It will also add that extra Flair to your drink. 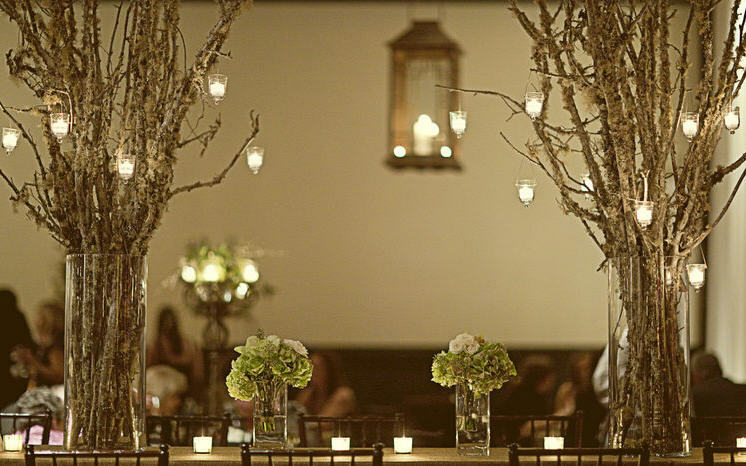 Dogwood, Cherry Blossom, Manzanita, Curly Willow, you name it and I love it! 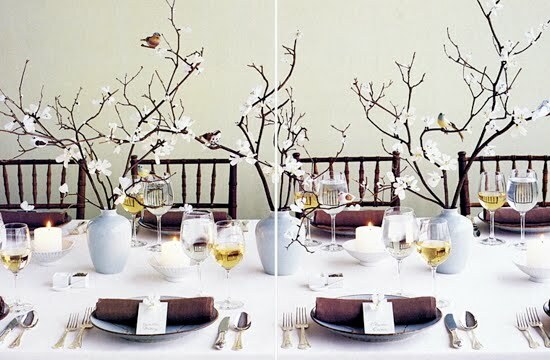 I'm a sucker for a centerpiece that incorporates branches. 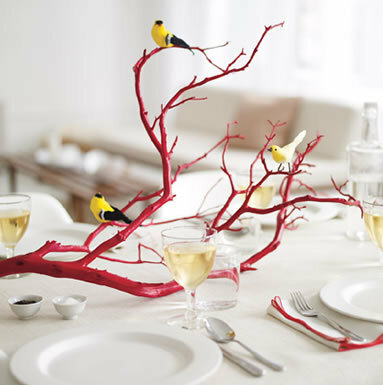 You can maintain a nature inspired feel by adding birds, or add a touch of elegance with hanging votives, flowers, or what ever you feel fit. I used dendrobium orchids, branches & crystals as my wedding centerpiece, and couldn't get enough of branches since! I'm loving this simple elegant birds and branches tablescape. 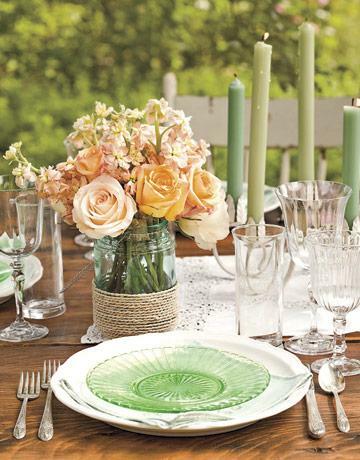 Perfect for a bridal or baby shower. Spray paint them.. I've done it in gold! 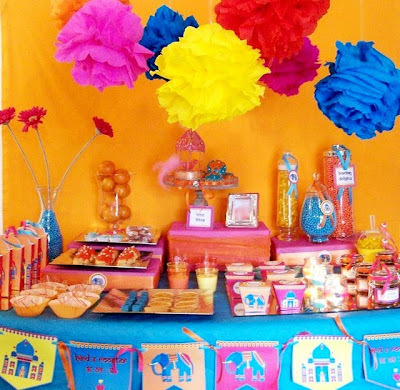 Looking for Indian inspired party decor? 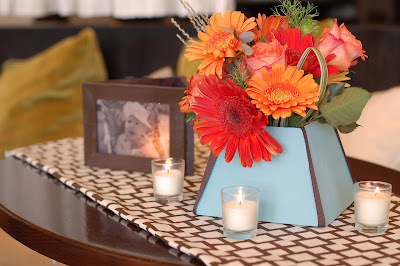 Check out this vibrant desert table sent over to me from Bird Crafts! 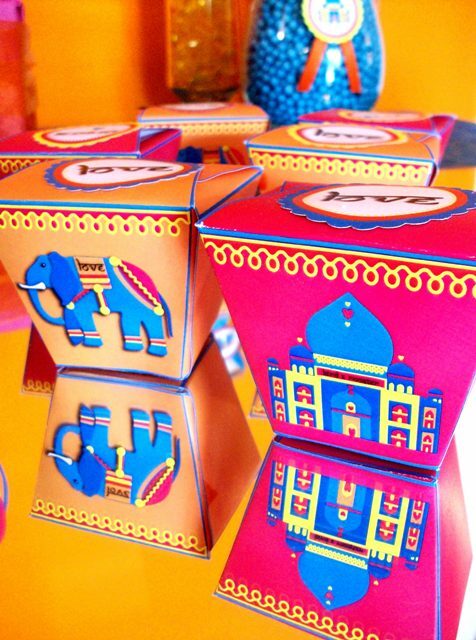 Aren't these favor boxes just perfect for the theme? This theme would be perfect for a girls night in, or a bridal shower. Head over to Bird Crafts for more yummy Bollywood treats, and cute colorful inspiration!